The South Surrey Anderson Walk Homes for Sale – Grand Opening! Live Large and Love Big here at the Anderson Walk Surrey Homes for Sale. Featuring a sales reslease offer like no other, the pre-construction Surrey Anderson Walk single family homes provides huge incentives for homebuyers right now. 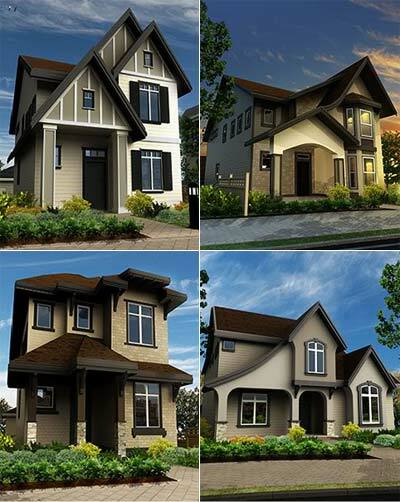 28 of the 51 pre-sale Anderson Walk Homes for sale are offering up to $150,000 discount on the pre-constructoin original house prices, a huge different when it comes to purchase value, your mortgage and long term South Surrey real estate investment. Call for pricing today and priority register for the new South Surrey Anderson Walk Homes for sale. The special release date for the South Surrey homes here at Anderson Walk community is scheduled for April 5th, 2009. On site financing for the Anderson walk single family South Surrey homes for sale will be by Invis Team Rob Regan-Poloock. Your mortgage, consider it done! Brought to you by EPTA Developments, a trusted name in Vancouver home building, the pre-sale prices for the South Surrey homes for sale start from just $590,000. Phase 1 release for the Anderson Walk Surrey homes for sale will feature only 28 opportunities and the sales date is for April 5th. With riverside walks, wide open spaces, greenery, lush gardens and plenty of outdoor activities to keep you busy, the pedestrian friendly and family oriented pre-construction south Surrey homes for sale at Anderson Walk community presents spacious and gracious houses of craftsman style and EPTA construction quality. Set among the beautiful parklands of South Surrey real estate, the Anderson Walk single family homes are close to the river and ocean beaches and are going to become available very soon. Priority register today online at www.andersonwalk.ca for more information and the special incentives for the grand opening of the presale Anderson Walk South Surrey homes for sale. The new pricing for these beautiful new pre-construction South Surrey homes and family residences features a starting price point of just $590,000 plus GST. Affordable and well attuned with today’s Surrey real estate market, the South Surrey Anderson Walk homes for sale will also present special bonus incentives for the first twenty eight homebuyers here in this fabulous family oriented community. Right now, as one of the first home purchasers at the new Anderson Walk Surrey homes, you can get $3500 in home electronics from Best Buy included with your purchase. The second incentive for being the first 28 homebuyers here at the presale South Surrey homes for sale is a Free HDTB, internet and phone for 3 months with no contract obligation from SHAW. Lastly, home buyers at the preconstruction South Surrey Anderson Walk homes for sale will also receive a free home décor consulation with their award winning interior designer so that you get to customize your home before it is built! Located in the southwest corner of the Lower Mainland, South Surrey is one of the up and coming neighbourhoods that is pedestrian and family frienly. With spacious homes for sale and close proximity to South Surrey Central as well as downtown White Rock, residents here at the Anderson Walk homes for sale will have convenient access to work and play. In addition, the new Anderson Walk single family South Surrey homes will be very close to the White Rock beaches, water, river trails, green parks, and recreational activities oudoors. On the opposite side, you will also be within walking distance to local grocers, shopping, restaurants, coffee shops and schools. The Anderson Walk South Surrey location is impeccable, so take a drive around town and check it out for yourself. Tucked away in a quiet neighbourhood full of charm, old growth trees and much more, families can grow old here at the craftsman style Anderson Walk homes in South Surrey. Three storey living with backyards, gardens, landscaping, storage, garges and much more, the wood and rock and other natural materials make these South Surrey homes for sale very attractive from the curb appeal standpoint. Earth friendly and modern, the pre-construction South Surrey Anderson Walk homes will provide six home styles to choose from including The Shoreline, The Rock Ridge, The Beachwood, The Woodland, The Gable and The Riverside. Right now, Phase 1 of the Anderson Walk houses for sale are being launched in April 2009. Phase 2 will be coming soon afterwards. Each home site will have an option of two exterior facades and all of the Phase 1 Anderson Walk homes will be located along Winter Crescent in South Surrey real estate market. Inside your new Surrey homes for sale, residents and homeowners willlove the wide open concept living spaces as well as the two colour designer palettes that include COOL: mountain meadow like with lighter colours coupled with greens and cool dark mountains with pale taupes in addition to WARM: with its soft creams, tans, browns and coffe cream colours. The South Surrey homes at Anderson Walk will have open floor plans, nine foot ceilings throughout, central kitchen, main floor office or den, walk in closets and vaulted ceilings. In addition, the high end features of the pre-construction Surrey Anderson Walk houses for sale include 2x6” exterior walls, high efficiency gas fireplaces and furnace, designer laminate plank flooring, oil rubbed brushed finish, modern level style handles and glass tile accents. The luxury kitchens here at the presale South Surrey homes for sale will include custom design/pain, quality stainless steel appliance package, storage, pantry space, antique white or cappuccino stained wood cabinets, Kohler fixtures and polished granite islands and counters. The beautiful bathrooms here at the new Anderson Walk South Surrey homes for sale include granite stone slab counters, spacious walk in closet in ensuite, porcelain tile and glass inserts and Kohler bath fixtures. Some of the additional upgrades that you can opt for in your new Anderson walk South Surrey home includes two finished basement options for families and extra entertainment space, granite slab countertops in the ensuite and guest bathroom in addition to closet organizers, security system, home theatre customization and Shaw custom communication ystem. Excellent upgrade packages at the presale South Surrey homes for sale here at Anderson Walk community will also include kitchen pantry millwork, high end appliance package, designer hardwood flooring and trim and millwork customization throughout. The outside and exterior living features here at the new Anderson Walk Surrey houses for sale include the color plus hardy siding with 25 year warranty, Energy Star windows, walk out basement and cedar roofing. The new homes at Anderson Walk Surrey real estate development will also come with detached two car garages, semi private fencedyards, beautiful yards and landscaping in addition to eco-friendly drainage and ground water control system and applied membrane. The new Anderson Walk South Surrey Home Development is brought to you by EPTA Developers and is located at 14645 Winter Crescent, South Surrey, BC. You can call at 604.270.1890 for more information about the grand opening or to register for your interest, please visit www.andersonwalk.ca or email info@andersonwalk.ca today. The sales agent for Anderson Walk Homes is Paul Quinn of Colonial Pacific Realty. The South Surrey Anderson Walk Homes start from $590,000 before upgrades and GST. The Project Profile for Anderson Walk in the Vancouver Sun Westcoast Homes section included details about the general real estate development community in South Surrey property market. With 51 single family South Surrey homes for sale at Anderson Walk community with only 28 homes featured in the first release of pre-sales, this neighbourhood will be located at 14645 Winter Crescent in Surrey, BC. In addition, the price range for the pre-construction South Surrey Anderson Walk houses for sale will be between an affordable $590,000 to $640,000 and the size range is between 2,500 square feet to 2,800 square feet in living area. The Developer is EPTA and the interior design is by TD Swansburg Design Studio with exterior architecture and design by Tynan Design. The pre-sale Anderson Walk South Surrey home release of pre-build homes is set for April 5th, 2009. Occupancy for the South Surrey houses for sale will be built after they are sold, and therefore, will be based on a timeline that is agreeable to both developer and homebuyer. Visit the web at andersonwalk.ca or eptaproperties.com for more information about the pre-sale South Surrey homes for sale at Anderson Walk community or call 604.270.1890. Anderson Walk’s initial phase of 28 luxury single family South Surrey homes for sale will be released for sale on April 5th, 2009. The Anderson Walk Surrey show home is located at 14645 Winter Crescent in South Surrey, BC. Prices for these impressively large and stylish South Surrey family homes start from just $590,000 and be sure to ask about the Anderson Creek’s special Home Electornics Bonus today. For more details and to register, please call Paul at 604.270.1890 or visit www.andersonwalk.ca today. Tucked against the Nicomekl River and Anderson Creek, Anderson Walk South Surrey single family homes for sale is a secluded, pocket community of three storey craftsman homes set amidst graceful trees, and lush parkland. Floor plans for these pre-construction South Surrey Anderson Walk homes are open and designed for the best combination of easy family living and entertaining. Features are upscale including maple cabinetry, granite counters and luxurious ensuites. All this, and you’re only minutes to shopping, restaurants, golf and the beaches of White Rock. Grand opening sales start soon at the South Surrey pre-construction homes at Anderson Walk. Just steps away from the Semiahmoo Trail and minutes from Crescent Beach in South Surrey real estate market, Elgin Trails single family detached homes is a small enclave of stylish four bedroom detached houses. Set on a cul-de-sac at 36th Avenue and Elgin Road, these homes offer easy access to golf, the freeway to Vancouver, schools and parks. Choose an existing South Surrey Elgin Trail home floor plan or bring you rown ideas for a custom home. For more information about the South Surrey Elgin Trail homes for sale, please call 604.719.2733.